Career expert J.T. O'Donnell answers questions live on CAREEREALISM TV. Topics include resumes, Linkedin profiles, how to interview, and everything in between. J.T. answers your questions live on air! Tune in to her show every week on Tuesdays at 1(EST) on CAREEREALISM.com and have your questions answered live! Miss the last episode? Catch up HERE>> or subscribe to our podcast. Subscribe On Itunes!. 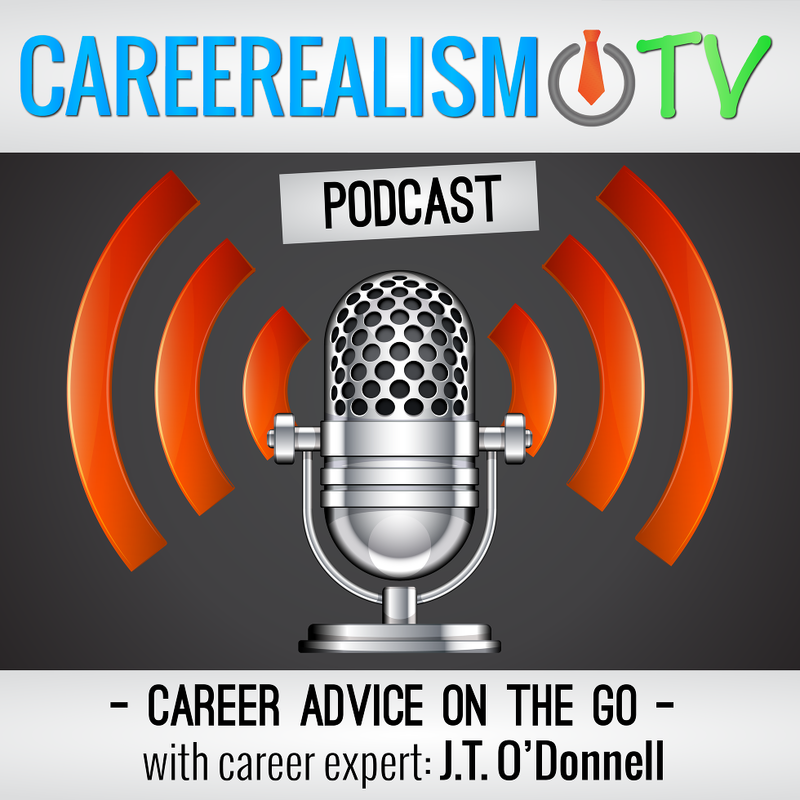 Just search CAREEREALISM in the Itunes store and listen to any episode for FREE.